The Emergency Nurse Practitioner program prepares nurses to provide health care to patients across the lifespan in emergency and primary care settings. Program content is built on family nurse practitioner preparation but also prepares graduates to manage the care of patients presenting to emergency settings with acute, life-threatening health care needs. Fifty-three credit hours are required for degree completion. The Emergency Nurse Practitioner program is a rigorous, four-semester, FNP enhanced curriculum that requires prior experience in emergency nursing, disaster/crisis management, military service or related work experience. The degree requires four semesters of full-time study, or students may pursue it part time. Due to the nature of the clinical rotations for this specialty, full-time study is strongly recommended. The clinical portion of the program includes training in advanced procedural skills such as advanced suturing, x-ray and ECG interpretation, trauma and cardiac resuscitation. Students complete over 700 clinical hours including women’s health, pediatrics, family practice, and in high acuity medical and trauma settings. Clinical sites include, but are not limited to emergency care and primary care settings within the metro Atlanta area, Grady Memorial Hospital, Emory University Hospital, Emory University Hospital Midtown, Children’s Healthcare of Atlanta and primary care health settings throughout Northeast Georgia. 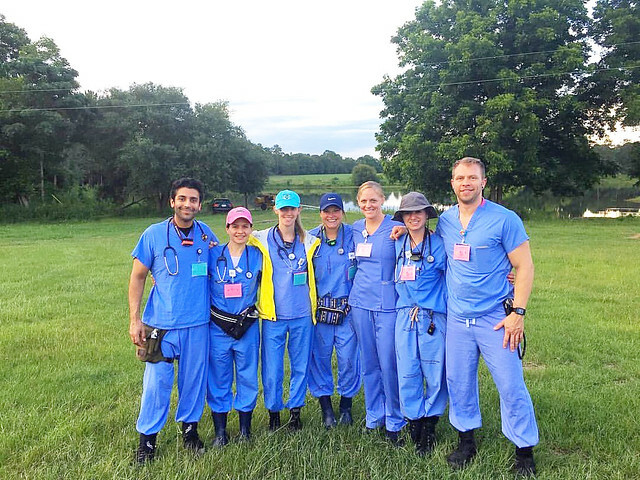 Learning opportunities include interdisciplinary learning experiences with medical students, physician assistants, and emergency residents; a state-of-the-art clinical laboratory; clinical experiences in a Level I Regional Trauma Center; and classroom instruction in forensic issues in emergency settings, including disaster preparedness. Upon completion of studies, graduates are prepared to sit for the Family Nurse Practitioner Board-Certification (FNP-BC) exam of the American Nurse Credentialing Center (ANCC) or the certification exam of the American Academy of Nurse Practitioners Certification Board (AANPCB). Graduates are also prepared to sit for the Emergency Nurse Practitioner certification (ENP-C) of the American Academy of Nurse Practitioners Certification Board (AANPCB). Graduates of the Emergency Nurse Practitioner program are prepared to work in trauma centers, urgent care and emergency settings caring for adult and pediatric patients. The ENP program’s five faculty members are all ENP board certified, renowned leaders and scholars in Emergency Care with 32 Peer reviewed (7 written in collaboration with students) 12 Non-peer reviewed; 5 Books; 14 Book chapters; 2 are fellows in national organizations; 2 have contributed to development of board certification for ENPs. ENP co-horts are as diverse as the populations they serve - 56% are Black, 7% are Asian and 25% are men. Emory Healthcare’s network of 23 Emory affiliated Urgent Care centers (30 projected by 2019) and 5 emergency departments prepare ENP students for today’s practice environment – 91 percent of ENP graduates have practiced in either emergency department or urgent care settings, 98% of grads are caring for patients of all levels of acuity and 86% are caring for patients of all ages. 2017 graduates achieved a 100 percent first time pass rate on ENP board exam. ENPs are scholars and leaders. Two graduates have obtained PhD’s; 7 have either completed or are working on their DNPs. The Nell Hodgson Woodruff School of Nursing is accepting applications to its academic programs for Spring, Summer and Fall 2018. Admission decisions will be based upon candidate competitiveness as well as space availability. Applicants could potentially be placed on a waitlist. Decisions for waitlisted applicants are announced as seats become available, up to the first day of orientation. Application deadlines can be found here.